Quintessential Quilting reserves the right to make changes regarding the prices of the products offered at any time. We hope that you are completely satisfied with your purchase from Quintessential Quilting. However, we have a no return policy on educational materials such as books and DVDs. If your product arrives damaged due to shipping, you may make a claim with the USPS because priority mail is insured up to $50. All of our products are quality-inspected prior to leaving our store and if damage has occurred it did so during shipping. For in-stock items, Quintessential Quilting will make every effort to ship within 7 business days of receiving your order. Orders are shipped on business days only. Business days are Monday-Friday, excluding holidays. The length of time required to fill an order will depend on several factors including but not limited to the size of the order; the time of the year; the number of other orders already placed; our out-of-town vending schedule. Products are shipped in the USA via United States Post Office Priority Mail with Delivery Confirmation. When checking out, the shopping cart will show you the shipping cost, which is based on origin, destination, and package weight including packing materials. Shipping fees charged are our actual shipping costs. Delivery time is calculated according to actual “business days” from the date shipped and does not include weekends or holidays. This estimate is also displayed in the shopping cart when you check out. Priority Mail is generally listed as 2-3 days delivery within the United States, but may take up to 5 days depending on the distance and other factors. These delivery estimates are not guaranteed by USPS or by Quintessential Quilting. Sometimes delivery times are affected by internal factors at USPS that we cannot control. USPS Priority Mail - if an order hasn't arrived within 14 days, please contact us. We will check the delivery confirmation status and have USPS investigate. If the delivery confirmation status shows the package as being delivered to the correct address, we cannot reship, refund, or replace the order. If the delivery status shows that it hasn't yet been delivered, we will send out a replacement order. Currently we only ship products to United States delivery addresses. If you are outside the United States, you won't be able to create a customer account or purchase any products through this website. You may contact us. Tell us your country and the products you would like to purchase. 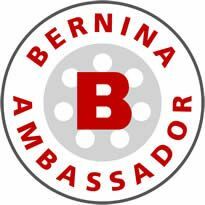 A representative will contact you with possible availability. We may add your country to our list if there is enough demand, so please let us know you are interested. Quintessential Quilting uses PayPal as our online payment processor. Your financial information stays safe with PayPal. We never see it! When you check-out, you leave the Quintessential Quilting website and are transferred to PayPal secure servers to complete the transaction. Securely pay with your credit or debit card, bank account, or PayPal balance without ever exposing your numbers to Quintessential Quilting. Information is automatically sent over the internet with a high level of data encryption. You are 100% protected against unauthorized payments sent from your account. You pay no fees to PayPal for making purchases. Every PayPal payment is followed by an email confirming your transaction to help safeguard you against identity theft. Don't have a PayPal account? Prefer not to create one? You don't need to! You can still pay with your credit card or bank account. If you prefer not to make online purchases, you may contact us by email to arrange payment by check, money order, or credit card. Be aware that this payment option will delay delivery of your order until your check is received and clears deposit. Quintessential Quilting is based in Arizona. All shipments to an Arizona delivery address are subject to sales tax at the Navajo County rate of 6.1%. All other orders are sales tax-free. All original contents of this website, including but not limited to words, images and sounds, are copyright protected. 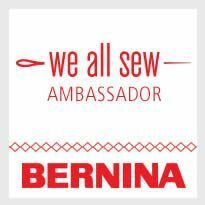 You may not reproduce, copy, download or distribute any content of this site without first obtaining Quintessential Quilting express written authorization unless otherwise authorized by law. Quilters and quilt shops have permission to download those patterns designated as “free”. These Free Patterns are entrusted to you for your own personal use. Please remember that these are "free" and at no time may they be sold or distributed commercially. Patterns will be available for purchase on the Pattern Page after they have been removed from "free" status. All images on Quintessential Quilting website are the intellectual property of Quintessential Quilting. All rights reserved. Any use of any images on Quintessential Quilting website, including the reproduction, modification, distribution, replication, without the express written permission is strictly prohibited. 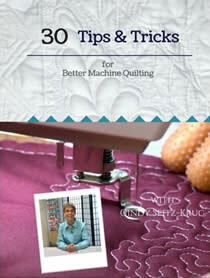 Check out Cindy’s new video class 30 Tips & Tricks for Better Machine Quilting. Cindy explains 30 issues that domestic machine quilters face on a daily basis, and offers solutions that make all the difference for your machine quilting success, comfort, and happiness!